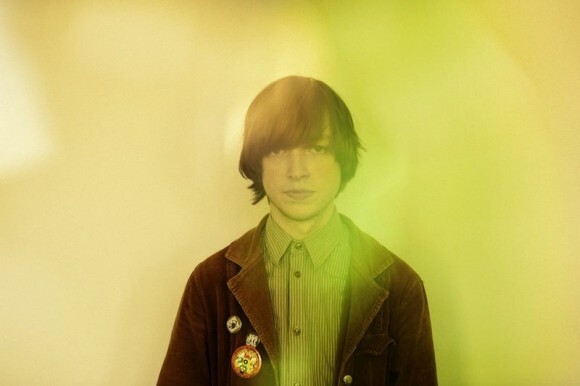 Jacco Gardner, an exquisite artist from Hoorn, Netherlands, brings his beautiful baroque psychedelia music to the Sunset on Wednesday evening. Gardner’s visited Seattle twice, with shows at Barboza (’13, ’14) and then at Bumbershoot last year, so clearly he’s got appeal here. Fans will know he’s got a new album (his second, and second self-produced), Hypnophobia, the follow-up to Cabinet of Curiosities. Those are the dirty details, the facts. And hypnophobia means the fear of sleep. That can actually happen. But what fans can experience personally is this: songs to trip out to on their own merit, a seductive voice, lyrics such as in “Help Me Out” (I need another curtain, just to make feel alright alone) and just get carried along in a bass-filled, imaginative, nuanced sound. And I usually don’t talk too much about the venue where an artist plays, but the Sunset recently went under a redesign, and its new ambience will make a wonderful jewel box for Gardner. He’ll also have four bandmates with him to play those instruments Gardner just can’t play at one time. Written by: Dagmar on 06/23/2015. This entry was tagged jacco gardner, posted by dagmar. Bookmark the permalink.